"Derek: Just wanted to thank you again for a job extremely well done yesterday. You made our carpets look new and they were pretty soiled, so thank you for your diligence, hard work and neatness; it is appreciated." "I was familiar with the Beyer's quality work at my previous place of employment. Now that I am a business owner myself, I didn't hesitate to call on them when my carpets needed cleaning. They are dependable, efficient and very pleasant to work with. I highly recommend them." "I have been pleased with Beyer's Carpet Care for many years. They are professional, reasonably priced and do a wonderful job in our public library. We have a community room that gets lots of use (and spills) and Beyer's does a great job every time." "Beyer's Carpet Care has been cleaning our carpets for several years. As a pediatrician's office we have a lot of children through the office every day. That means all kinds of interesting stains on the carpets. Beyer's always does a great job of getting the stains out, and keeping the carpets looking their best." "Derek has been cleaning my physical therapy offices for a few years. He does a great job at a competitive price. Keep up the good work and thanks for making my offices look good." "I have a couple insurance offices in which the Beyer's have been cleaning the carpets for years. Since we are a business, they have to clean after hours. I trust the Beyer's to be in my offices when we are closed, and they have always done a great job. They move things, and they put them back. Very convenient. They also remind me on an agreed basis when it's time to do the carpets. Lastly, pricing is reasonable and well worth it." "Beyer's Carpet Care always provides consistent, professional cleanings. Derek works around our open hours so as to not interrupt our patrons, and our carpets are clean and dry so quickly! He works within our budget and always provides exceptional service." "The carpets look great and Derek is very professional." "Beyer's Carpet does an excellent job of cleaning, and by using a very small amount of water, they make it so you can use the carpet soon after the cleaning is finished. They are reliable and on time and do a great job." 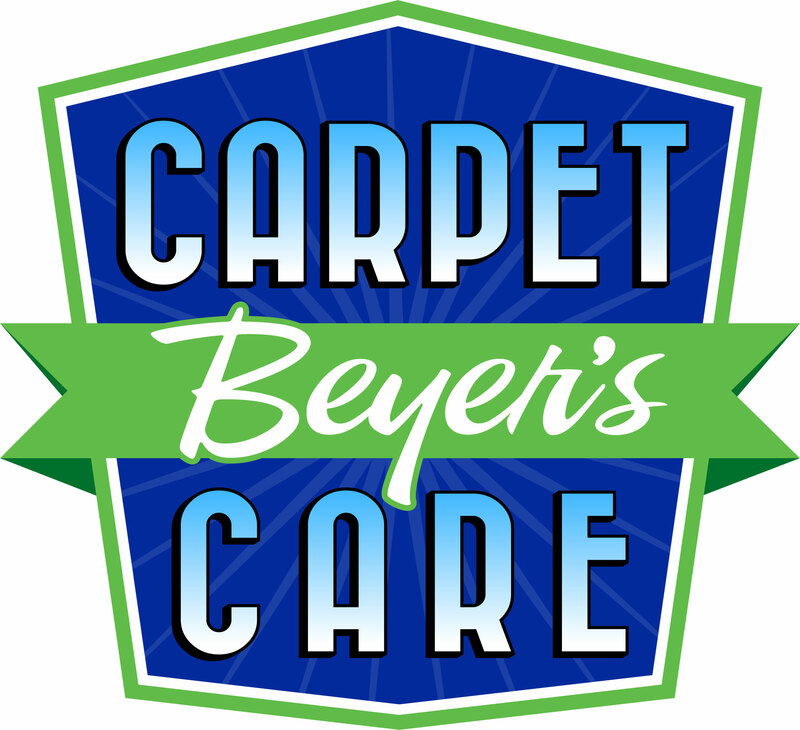 "Beyer's Carpet Care has provided service for us for many years. The service has consistently been excellent. They are courteous and professional. I would highly recommend them."